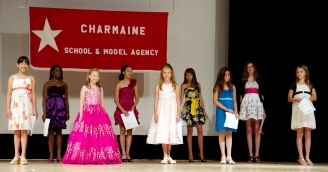 You can enter the exciting world of modeling & acting through Charmaine Models & Talent. We have the background, talent & industry contacts to help you become successful. Now is the time to be prepared, to train and develop your skills as a model or actor. Through Charmaine School, aspiring models and actors have gained the professional training and experience they need to pursue their chosen career. Since 1969, Charmaine has supported students, models and talent from the ages of 4 to 70 in the achievement of their goals through the arts of self-improvement, self-image, personal development and professional modeling and acting. Charmaine enjoys the distinction of being the oldest and largest Model/Talent School and Agency in Northeast Indiana. To begin a career in modeling or acting takes a lot of time, dedication, patience and connections. The school is recognized for the quality of its training. Charmaine has a faculty of experts who are dedicated to individualized instruction and giving each student personal attention, which creates a positive atmosphere for learning. Charmaine Directors attend High School Career Day activities. They hold personal development seminars for schools, girl scouts, different businesses and various organizations. Many companies send employees to Charmaine School to help improve their image & appeal as well as add polish and poise to their presentations.